Microsoft is releasing three Microsoft-developed Linux drivers to the Linux community for possible inclusion in the Linux source tree. This is one of the rare time when Microsoft does something for free and for the Linux community. 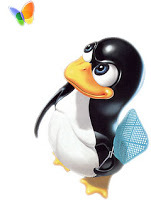 Microsoft previously released part of the Linux Integration Components under the GPL, so this isn’t technically the first-ever GPL’d code from the Softies.Microsoft made the Linux driver announcement on July 20, the opening day of the O’Reilly OSCON open-source conference. Microsoft is touting today’s release of 20,000 lines of code — which it is putting under the GNU General Public License v2 (not GPL v3) licensing agreement — as part of Redmond’s commitment to improving the integration of Windows and Linux.With today’s announcement, Microsoft becomes one of many companies contributing code to the central Linux kernel committee. So the code is for making Linux and Microsoft servers integrate better. WE wish someday Microsoft will roll out Driver-independent Operating System, so that we users don’t have to get into hassle of installing drivers to make stuff work.